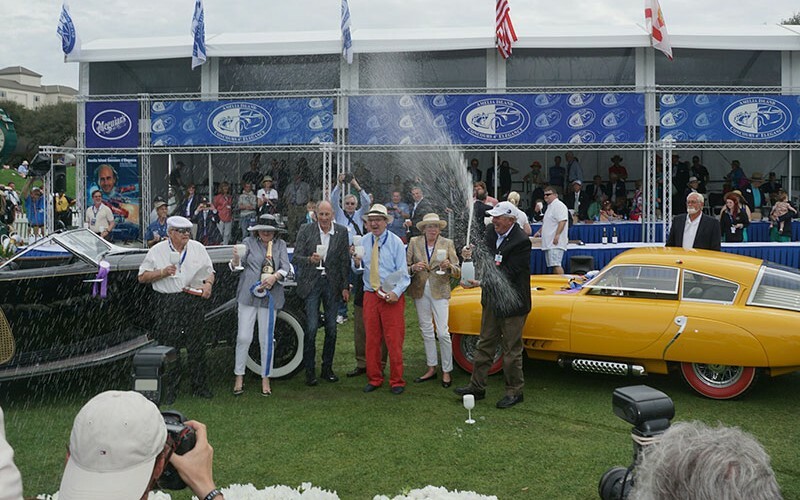 The finale of the 2016 Amelia Island Concours saw a 1930 Rolls-Royce Phantom II win the Concours D’Elegance Best of Show and a rare 1952 Pegaso Z102 Cupula win the Concours de Sport. 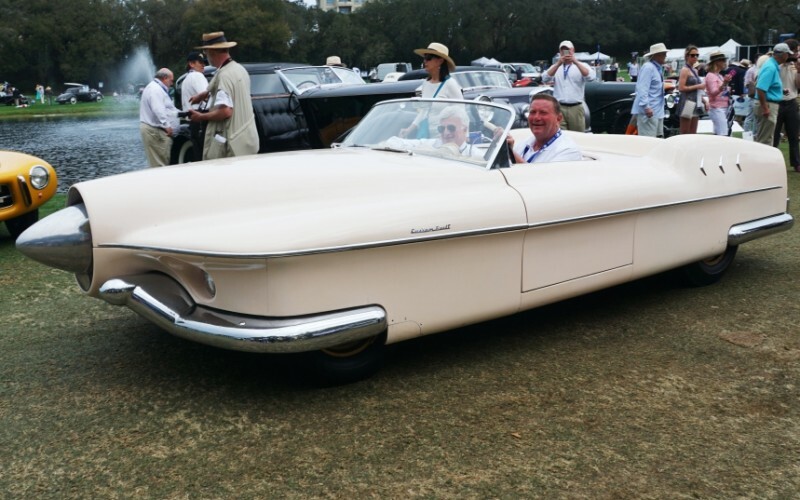 It was a fine conclusion to the whirlwind weekend of legacy antique, vintage and classic cars so rare that you would only see them here on Amelia Island. 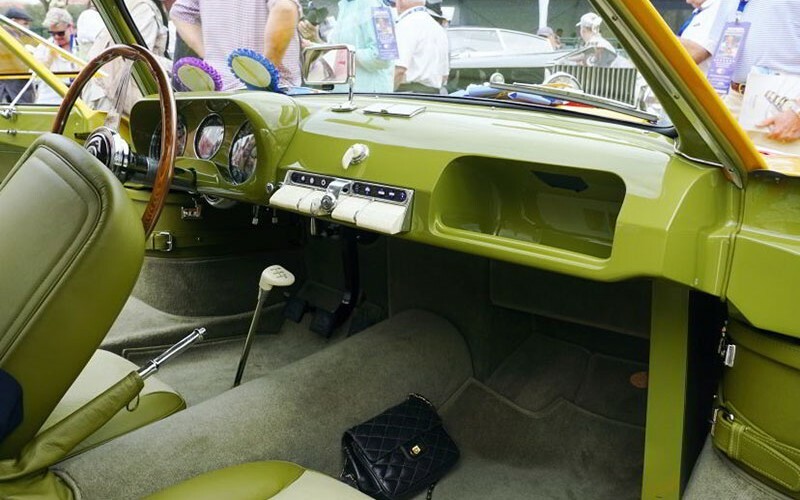 To earn a Best of Show at Amelia Island is much like getting a Best of Show at the venerable Pebble Beach Concours in California. 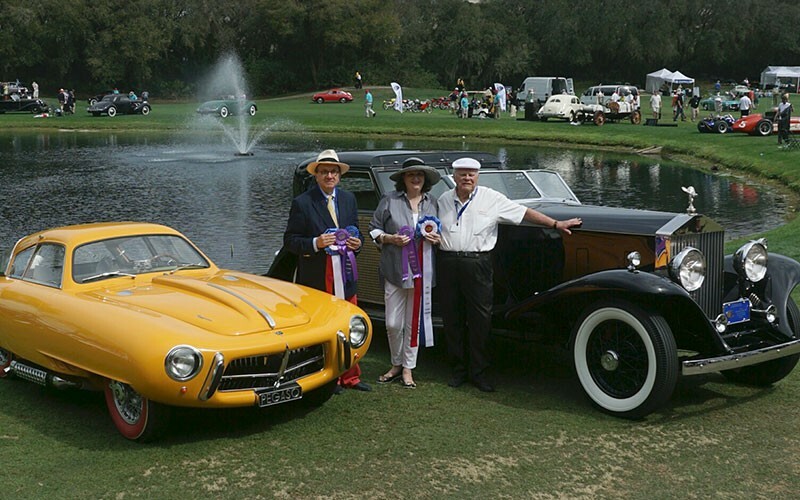 Each year the Amelia Island Concours awards a Best of Show in two categories. 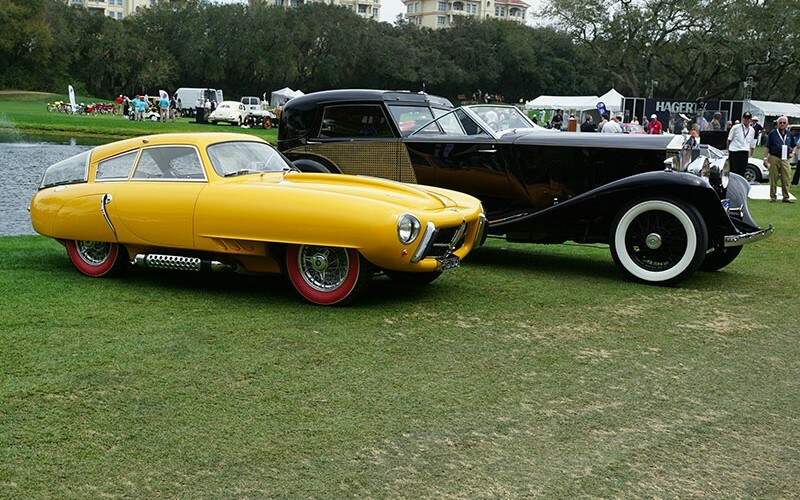 A 1952 Pegaso and a 1930 Rolls-Royce Phantom II were the Best of Show winners at the 2016 Amelia Island Concours here in Florida Sunday afternoon. 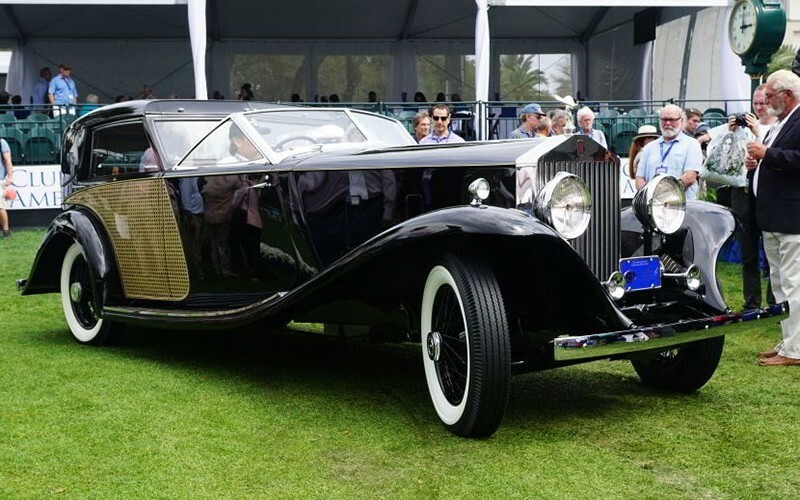 The 1930 Rolls-Royce Phantom II Brewster Town Sedan has been announced as the winner of the 2016 Amelia Island Concours D’Elegance. 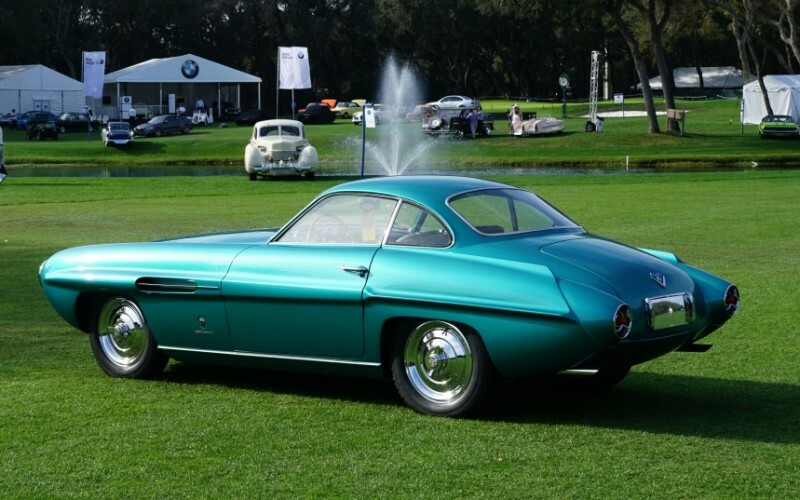 It is believed to be from the Nethercutt Collection and also won a Palos Verdes Concours Best in Class in 2015. 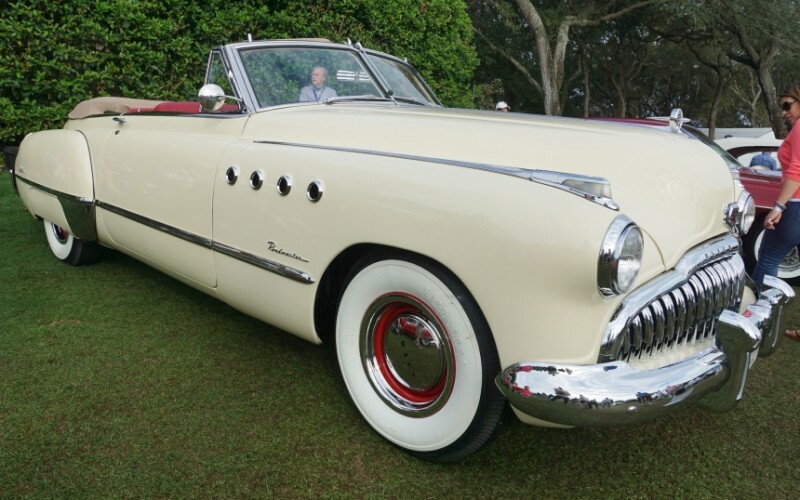 The Nethercutt Collection is owned by the Merle Norman Cosmetics family with Jack and Helen Nethercutt on the board of the Nethercutt Collection. 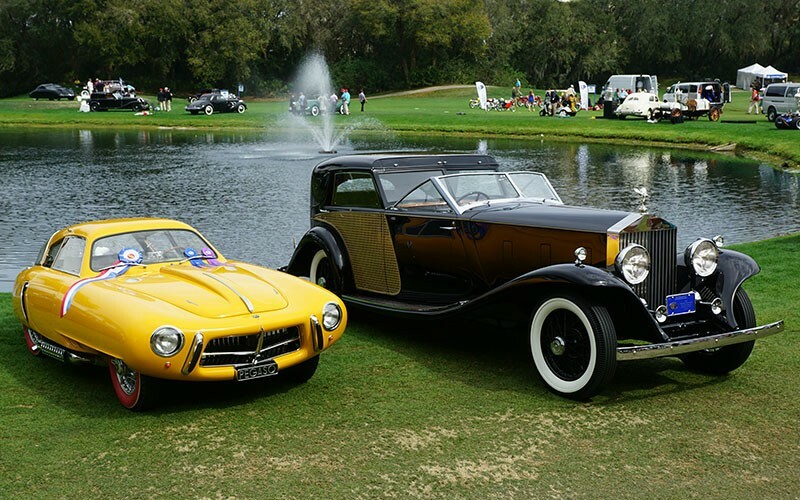 The 2016 Amelia Island Concours D’Elegance goes to a vintage classic motorcar, while the Concours de Sport goes to a classic sports car. 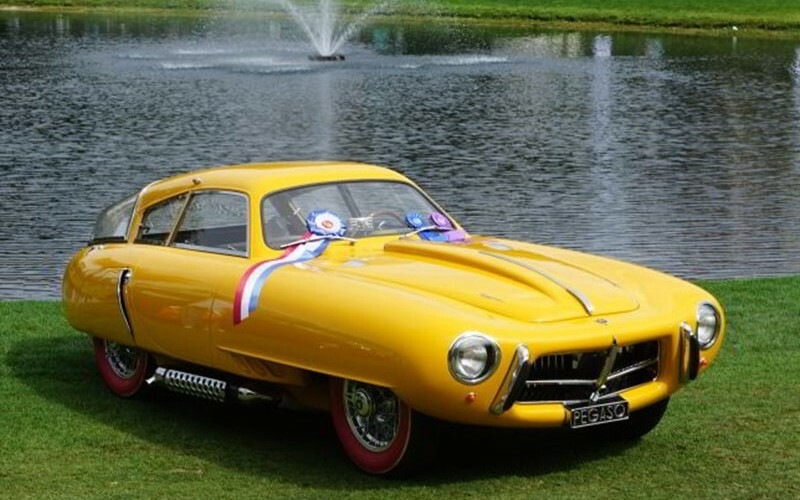 The Pegaso is one of only 87 ever built. 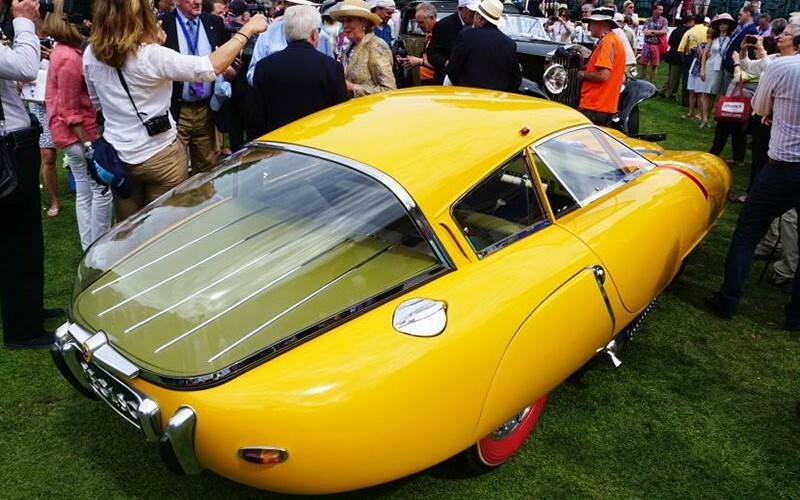 The coachwork by the Empresa Nacional de Autocamiones SA in Spain, a Spanish bus and truck company, and the “bubble top” glass trunk by designer Wilfredo Ricart, mark the 1952 Pegaso Z102 Cupula as a unique classic exotic sports car, possibly the rarest of its era. 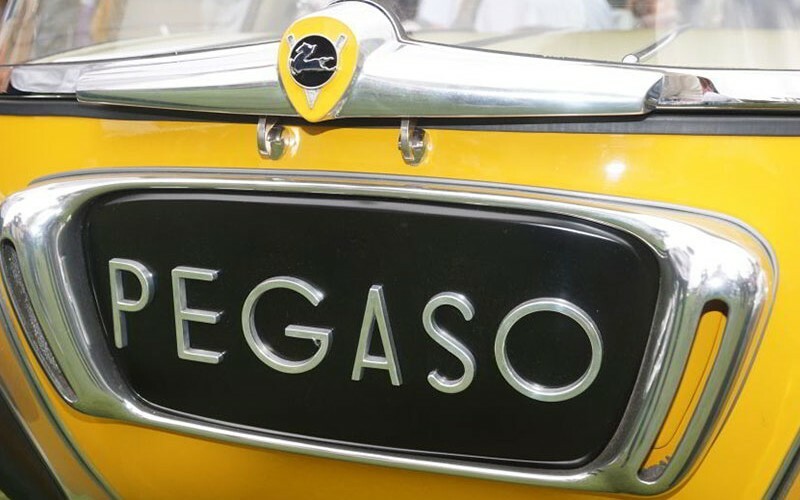 This particular Pegaso was built for a President of the Dominican Republic, Rafael Trujillo. After his assassination, the government sold the car to a New York businessman. It’s most comphrehensive restoration was done in 1987. It is an 8-cylinder coupe. 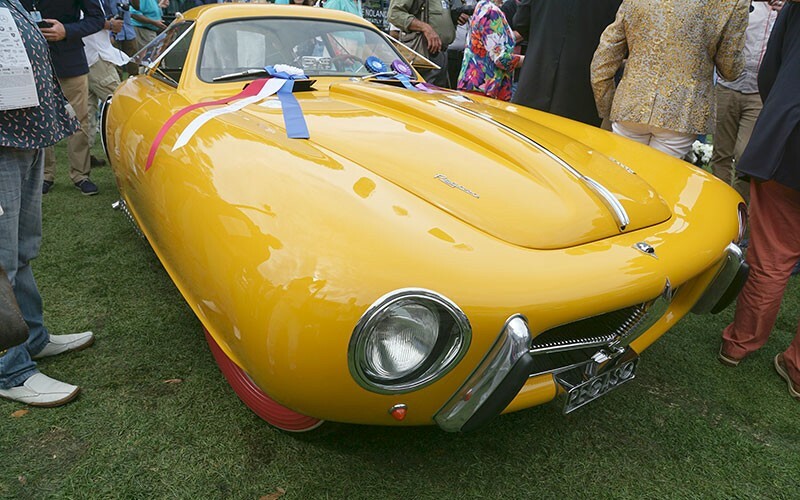 This year there was a special display for the Spanish made Pegaso sports cars. 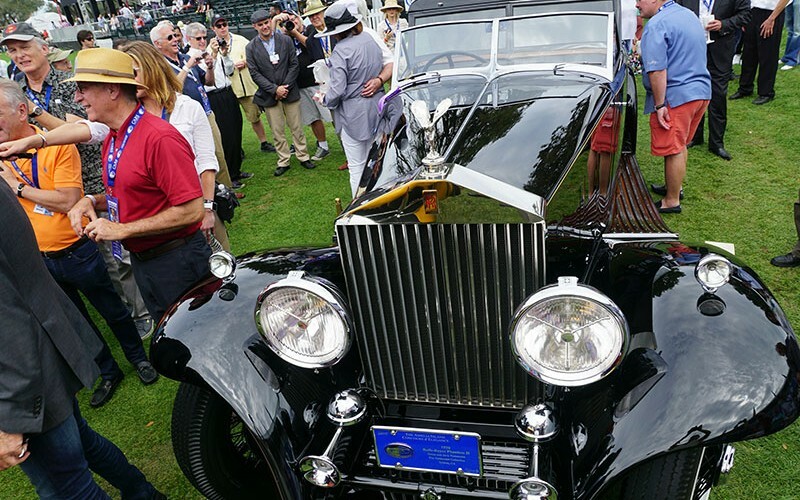 Of the 87 ever built 15 were present here at the 2016 Amelia Island Concours, quite a coup for this historic show. “This show brings in cars from all over the world,” our photojournalist Bob Boberg told us. 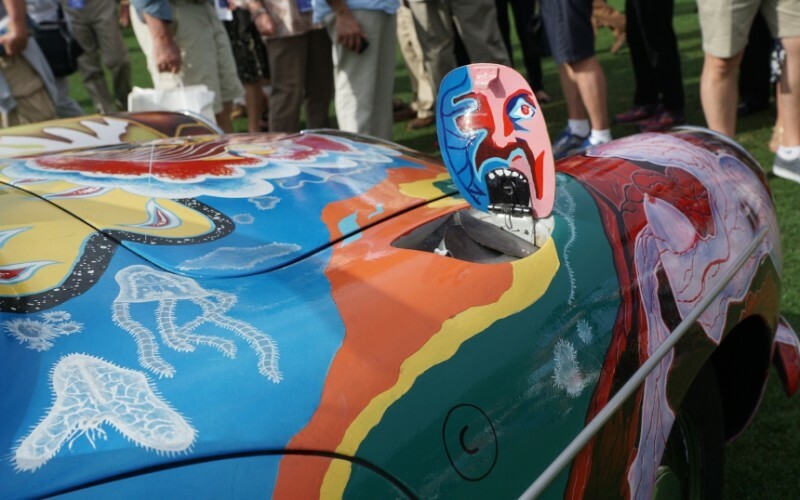 “In its 21st year, the concours is growing in prestige and excitement. 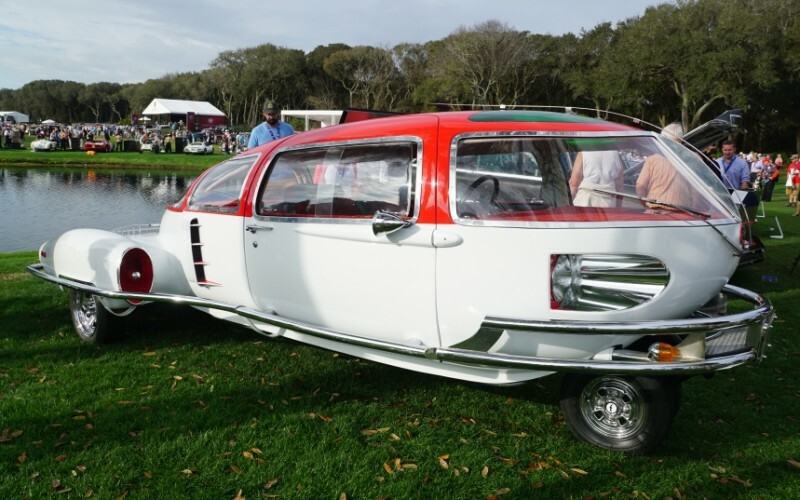 You see cars here that you’ll never see anywhere else.” Boberg captured the show in photos and video for our Cars On Line.com readers. 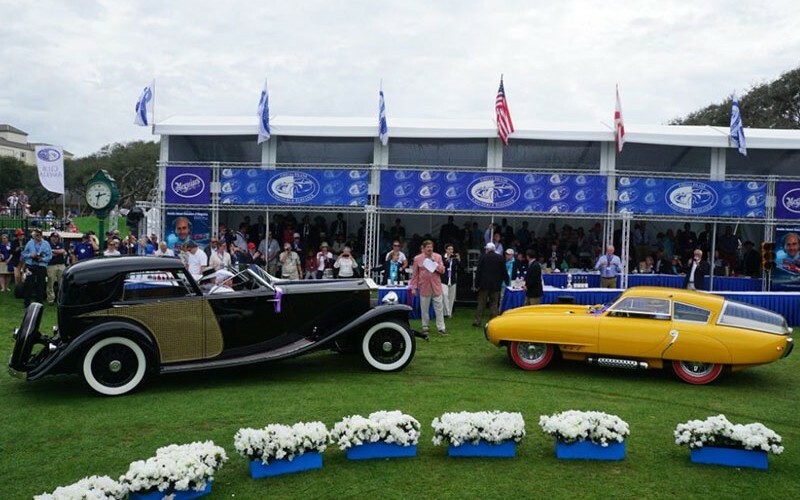 Here are some of the other cars from the showfield at the Gulf Course of Amelia Island. 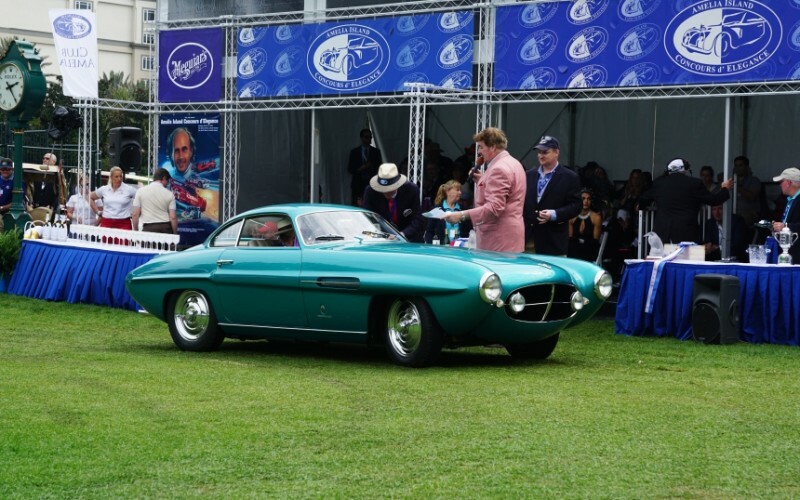 On Saturday at the 2016 Amelia Island Concours we covered the RM/Sotheby’s Auction. 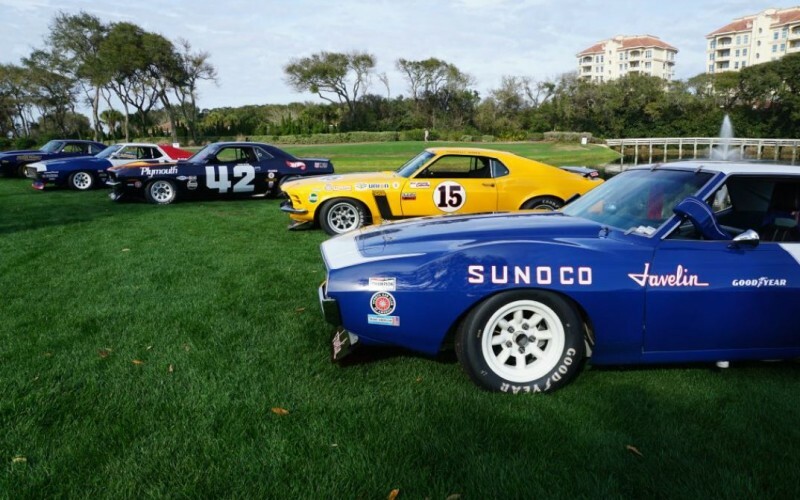 What a blend of vintage motorcars, race cars and American classics. 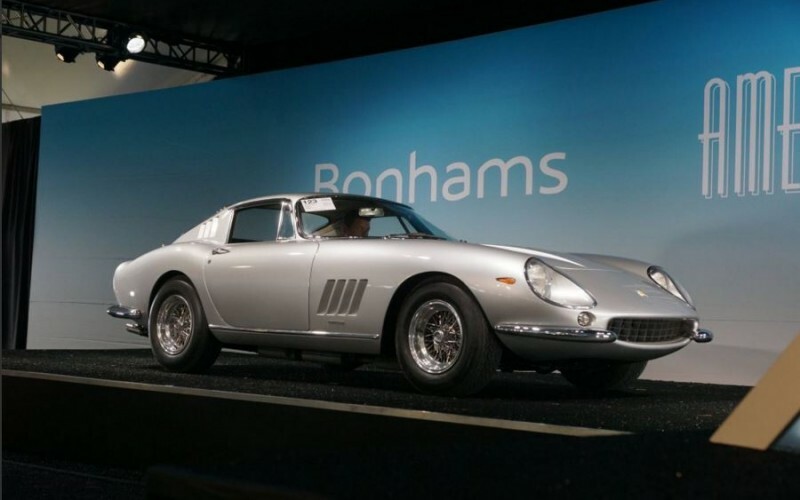 Here are some of the top sales for the RM/Sotheby’s sale. 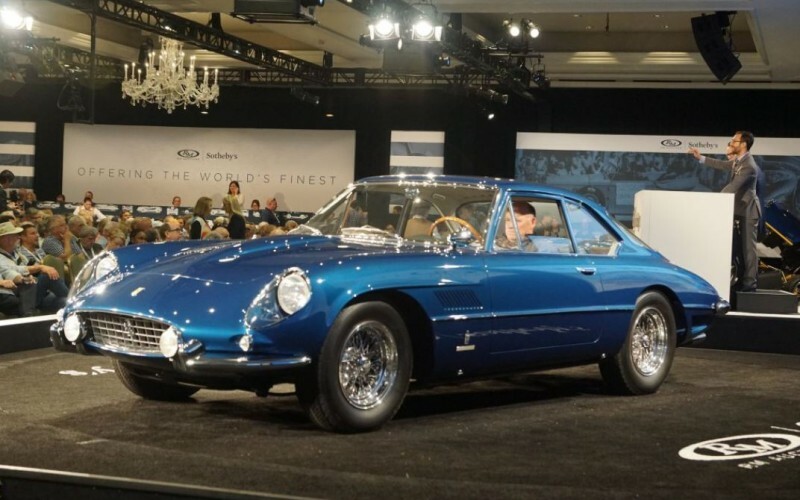 A 1962 Ferrari LWB Coupe Areodinamico sells for $4 million at the RM/Sotheby's Auction on Saturday. 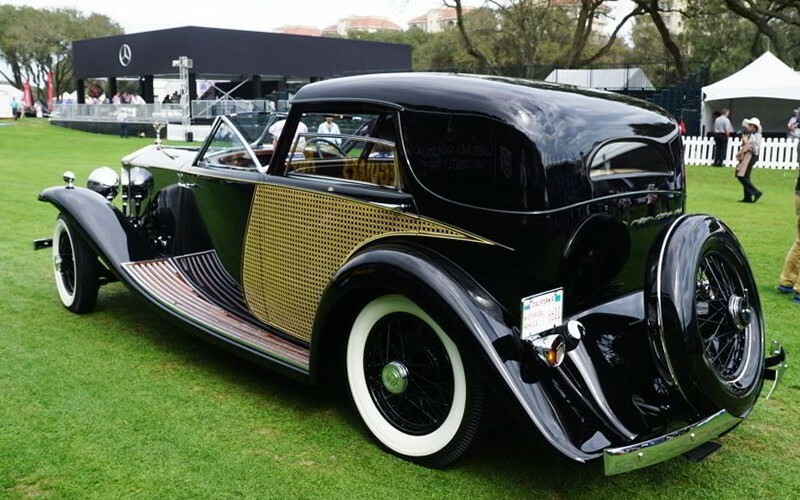 A 1931 Stutz DV-32 Victoria sells for $1 million at the RM/Sotheby's Auction during 2016 Amelia Island Concours. 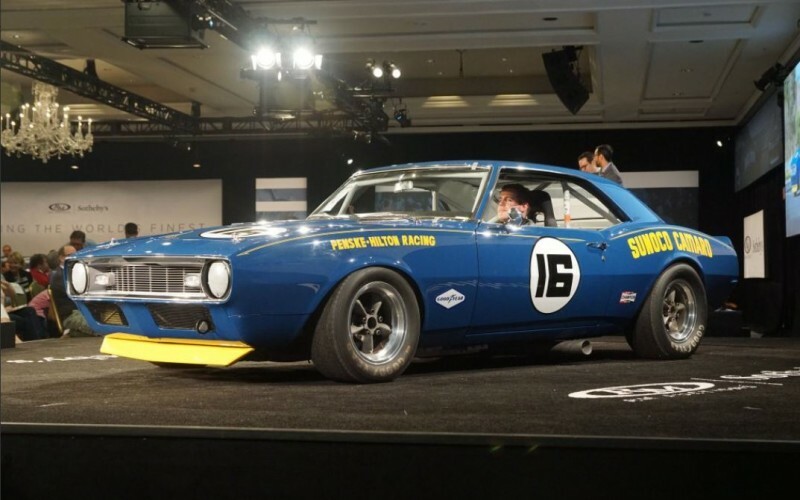 1968 Sunoco Camaro which was raced in the historic Trans Am series crossed the block at RM/Sotheby's for a cool $900,000. 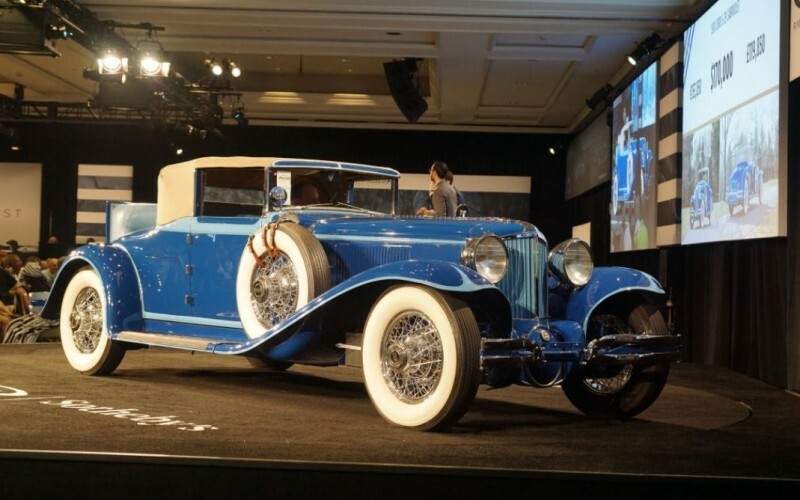 Seems like this 1930 Cord L-29 Cabriolet was a bargain when it sold for $185,000 at the RM/Sotheby's Auction during the 2016 Amelia Island Concours on Saturday. 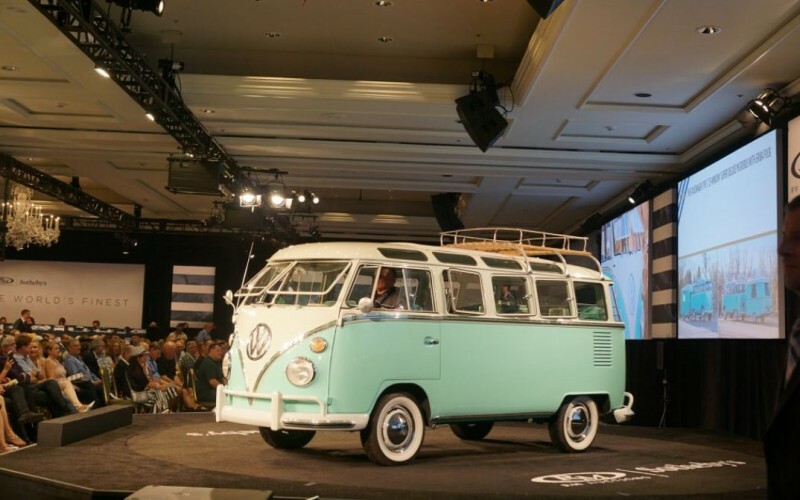 We couldn't believe it when a 1963 Volkswagen 23-Window Super Deluxe Bus sold for $145,000 at the RM/Sotheby's Auction. 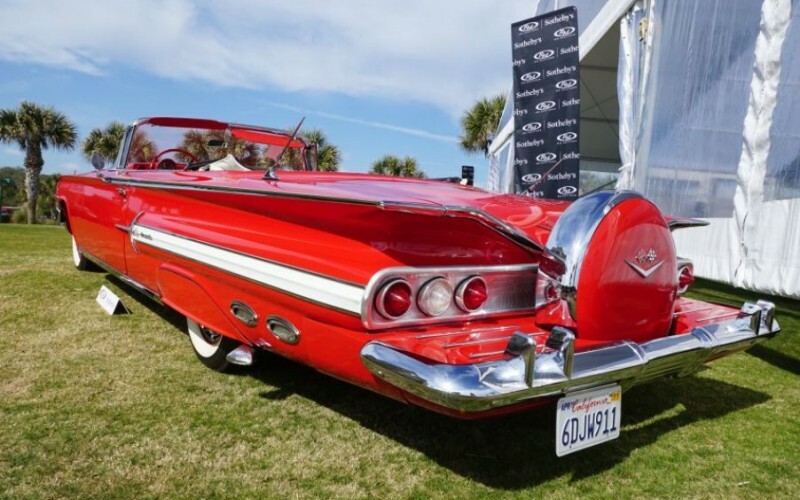 We saw this 1960 Chevrolet Impala Convertible before it crossed the auction block during the 2016 Amelia Island Concours. 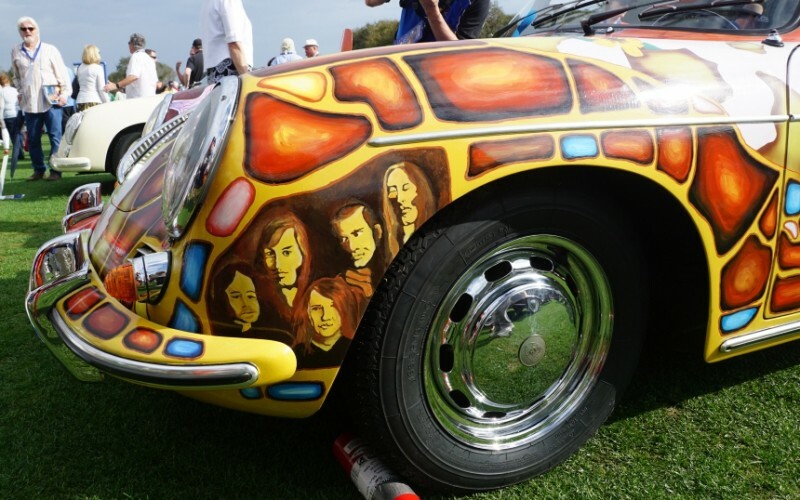 It sold for $60,000 at the RM/Sotheby's Auction on Saturday. 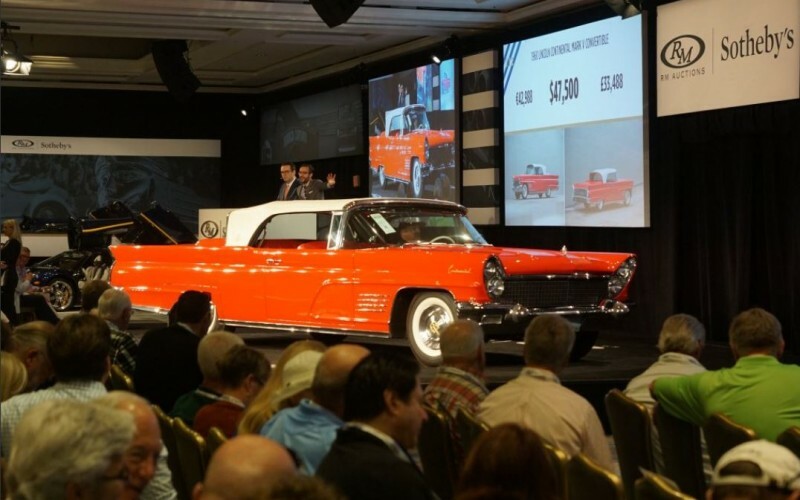 A full 19 feet long this 1960 Lincoln Mark V Convertible sold for $55,000 at the RM/Sotheby's Auction. The show which started on Friday ran through Sunday, March 13, 2016. For the main event, a world class exhibition of automotive history has convened here with 250 rare vehicles from collections from around the world. We’re at The Golf Club of Amelia Island at Summer Beach and The Ritz-Carlton. 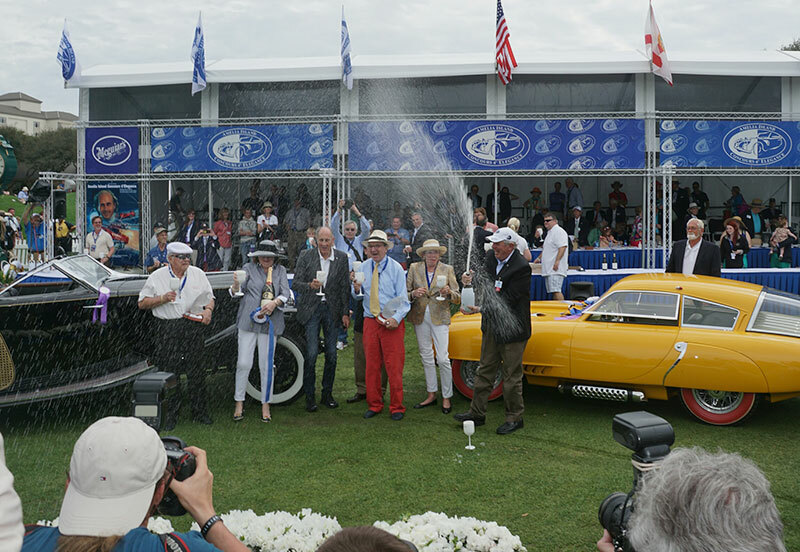 Photo journalist Bob Boberg of eClassicAutos.com has captured all the action this weekend for our readers, just as if you were here yourself. You can also follow our posts on Facebook and Twitter. 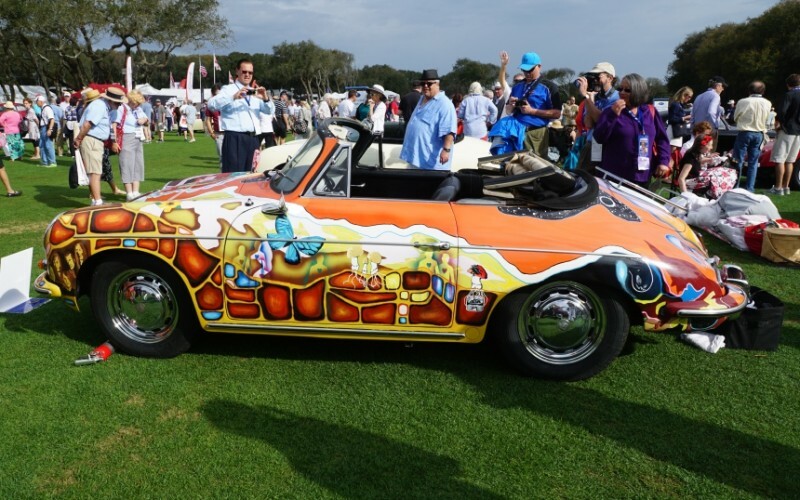 The highlight of the show weekend was the announcement of the 2016 Amelia Island Concours D’Elegance Best of Show awards on Sunday afternoon. 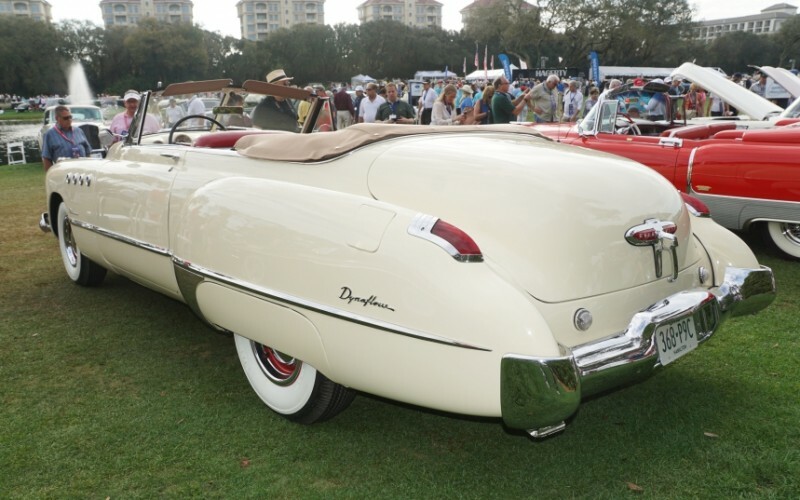 In addition, there are four major auction houses setting up on Amelia Island to add some interesting vintage car sales to the event. 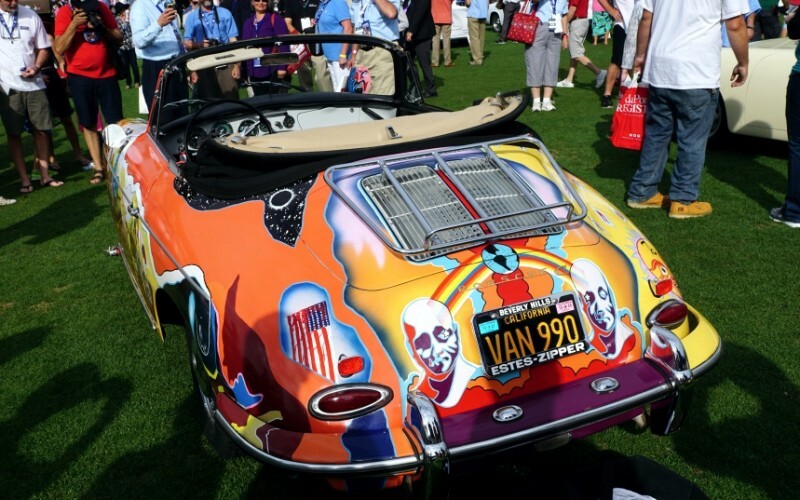 Yesterday as the 2016 Amelia Island Concours was officially underway, the buzz was all about the sale of the Jerry Seinfeld Porsche collection. 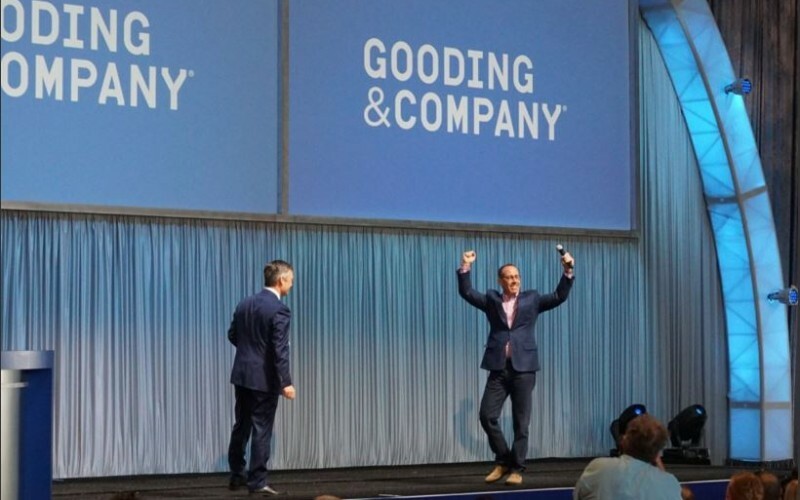 Seinfeld, comedian and star of the TV sitcom which bore his name, took the stage at the Gooding & Company Auction here to introduce the high profile auction sale. 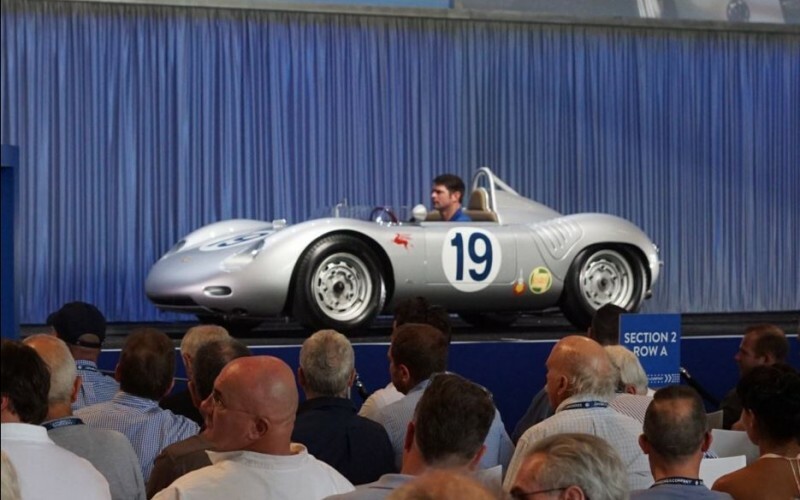 He cheered from the sidelines as his rare Porsches were sold for big $$$. 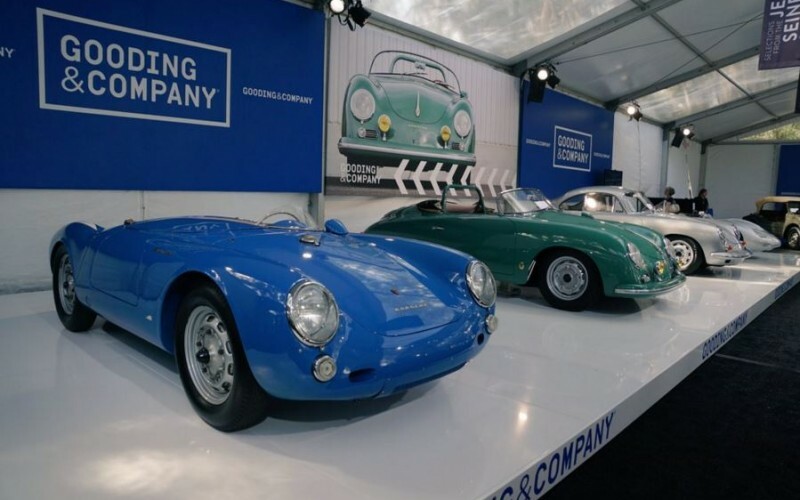 One of the features of the Gooding & Company Auction was the sale of comedian Jerry Seinfeld's Porche Collection. 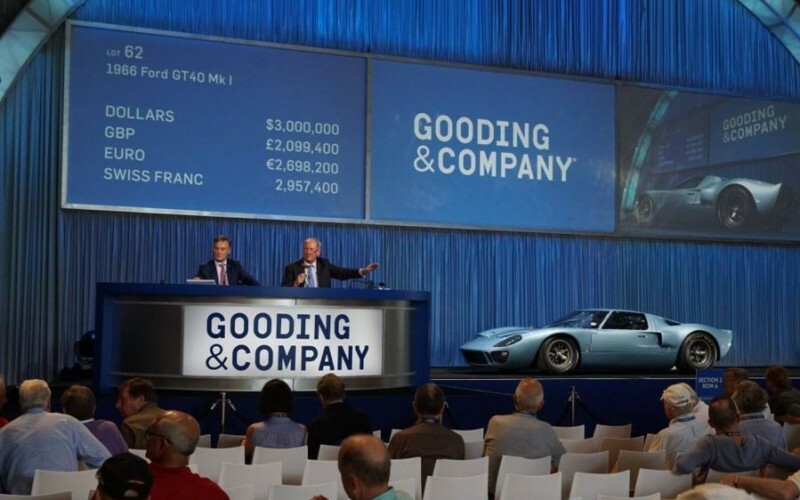 Comedian and TV star Jerry Seinfeld takes the stage before the sale of his Porsche Collection at the Gooding & Comany Auction. 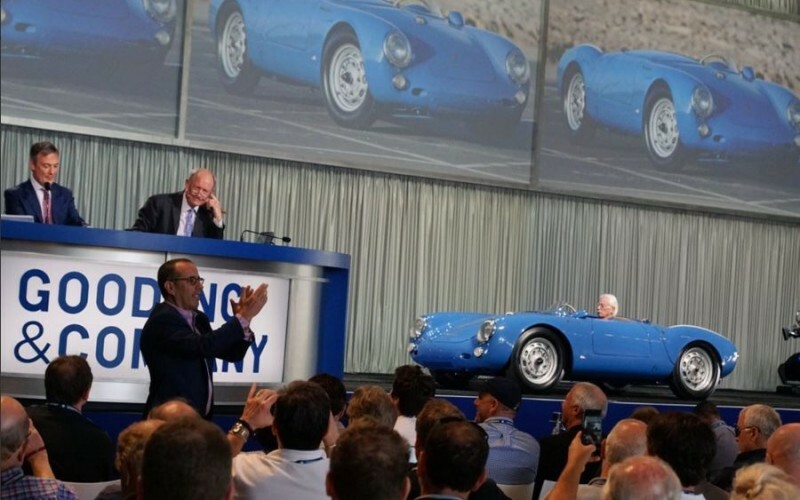 Seinfeld claps in the foreground as his 1955 Porsche 550 Spyder sells for $4.85 million. 2016 Amelia Island Concours features 1937 Bugatt Type 57C Sports Toureri as top sale at the Bonhams Auction on Thursday. 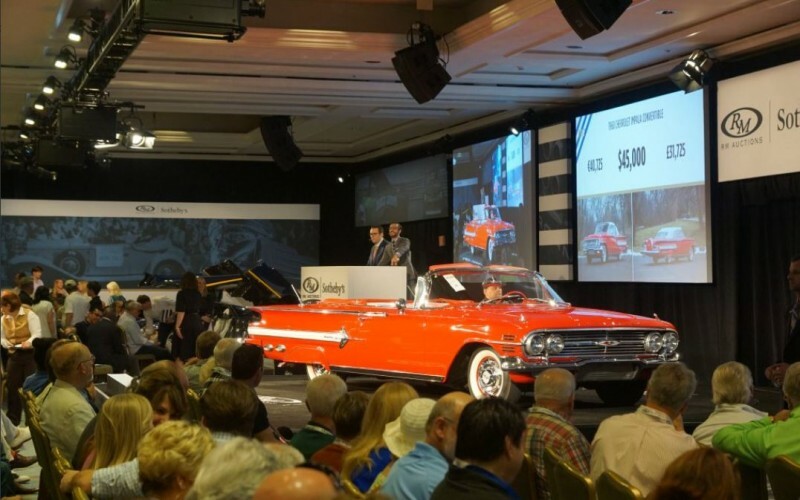 Sold for $9,735,000. 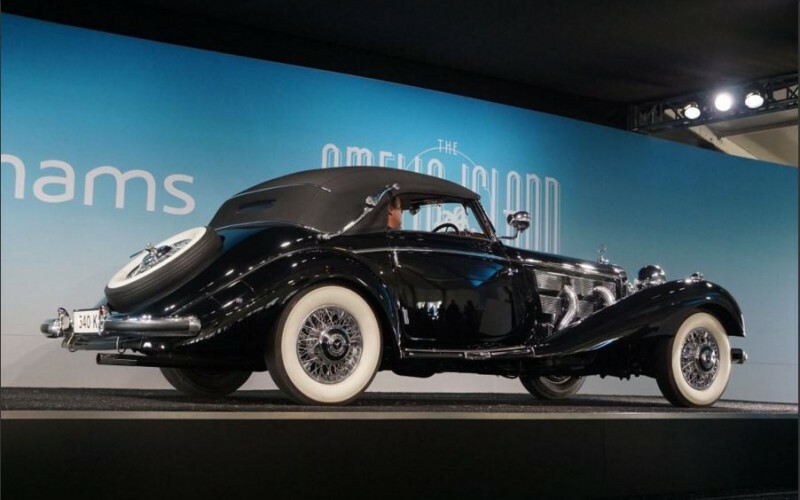 1937 Mercedes-Benz 540 K Cabriolet sold for $2,700,000 at 2016 Amelia Island Concours Bonhams Auction. 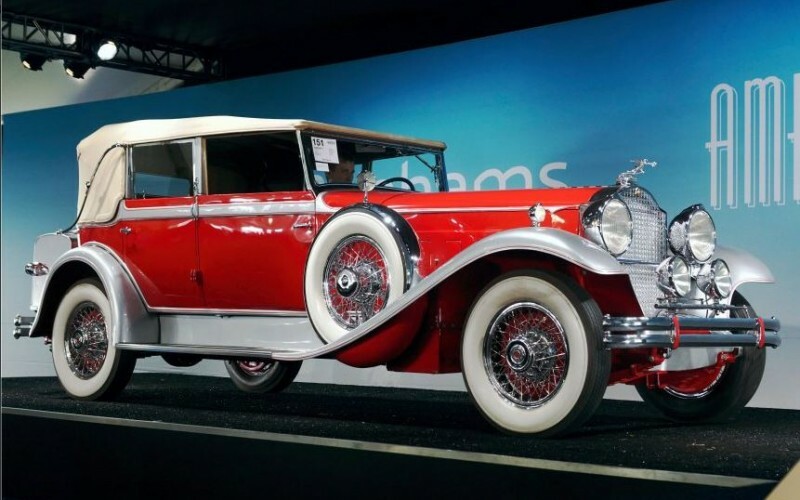 1930 Packard Model 745 on the stage on Thursday at the Bonhams Auction. 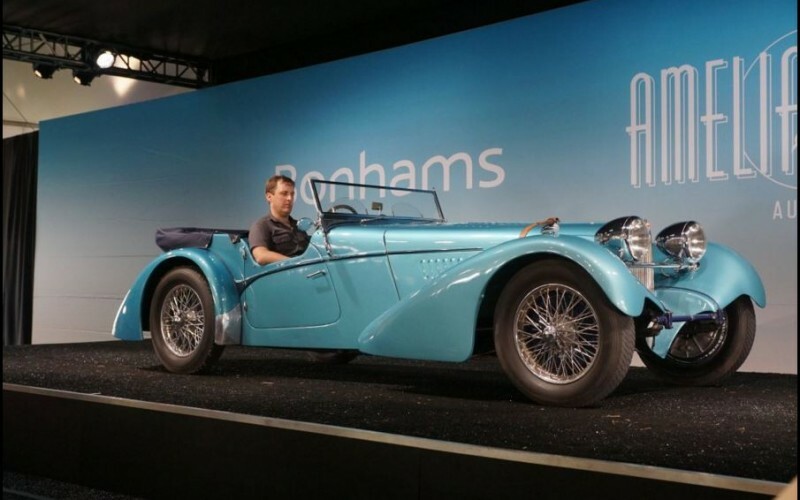 The top sale at the Bonhams Auction was a 1937 Bugatti 57SC Sports Tourer by Vanden Plas. 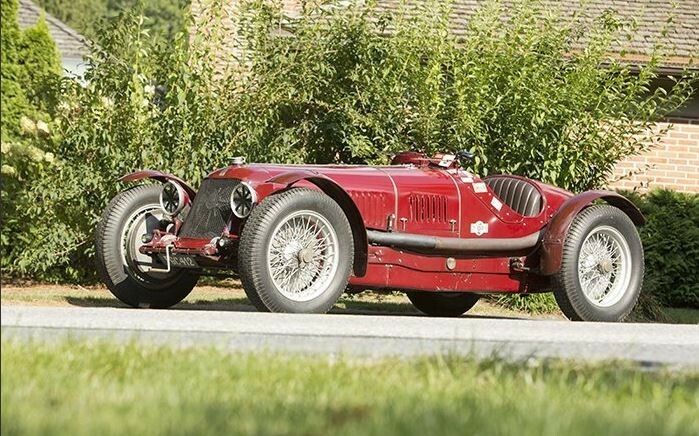 Armed with a generous amount of international buzz from the preceding weeks, this very special pre-war car had the auction tent packed to capacity with bidders and spectators. 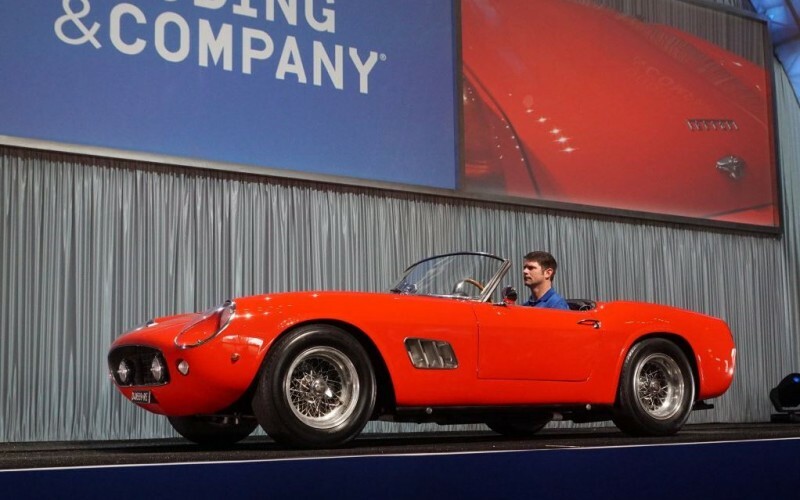 With a starting bid of $6 million, the bidding quickly rose to $8 million. 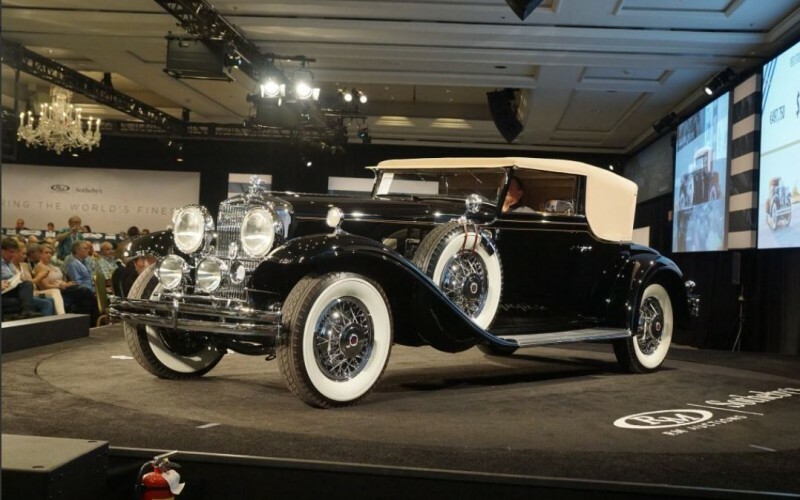 Then, followed by strong applause from the audience, the car sold to a private American collector for a total sum of $9,735,000, making it the most valuable 57S ever sold at auction and the most valuable pre-war car ever sold at Amelia Island. A Connecticut-built 1896 Armstrong Phaeton Hybrid was also sold during the Bonhams Auction. 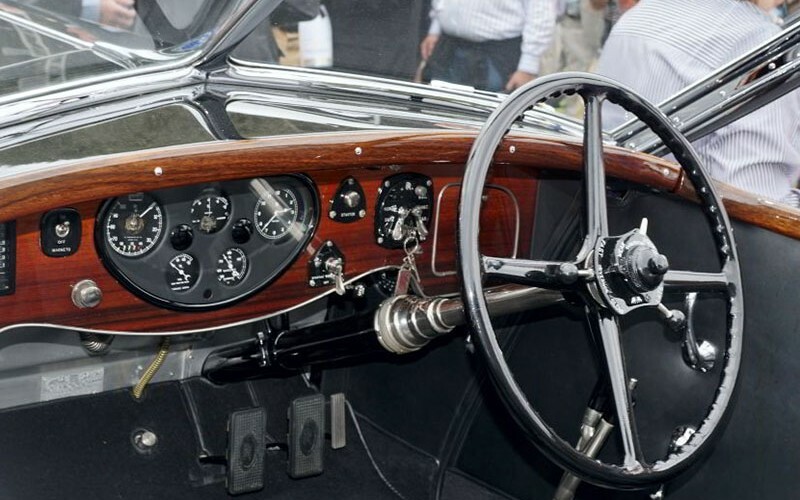 As the oldest – and likely the very first – known modern hybrid-driven car in the world, this landmark automobile predates the Lohner-Porsche by four years and the Toyota Prius by 100 years. 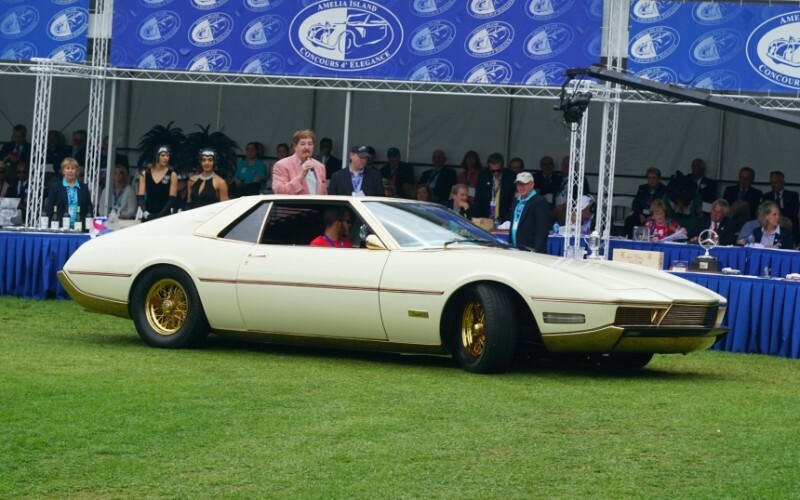 Amazing all in attendance as it drove around the grounds, the Armstrong was purchased for $483,400 by renowned Dutch collector Evert Louwman, who indicated it will be proudly displayed at his museum in The Hague, Netherlands for all to enjoy. 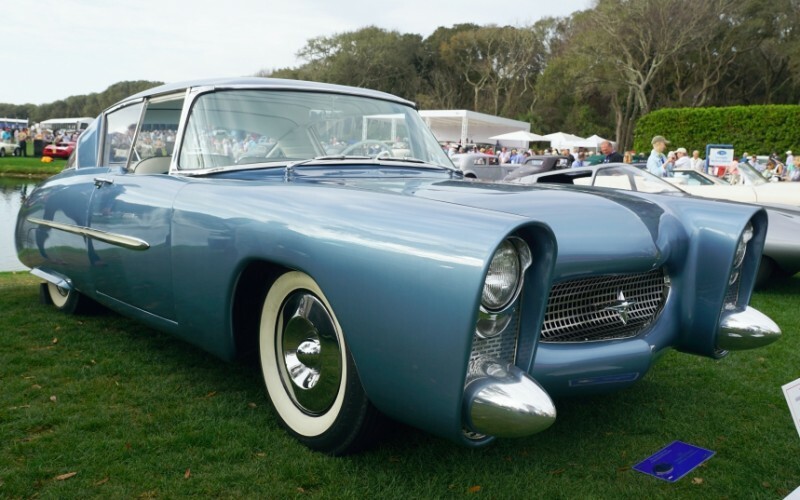 Be sure to stay tuned to this page for all the trending news from the 2016 Amelia Island Concours. Get the auction prices here and on our Twitter feed. 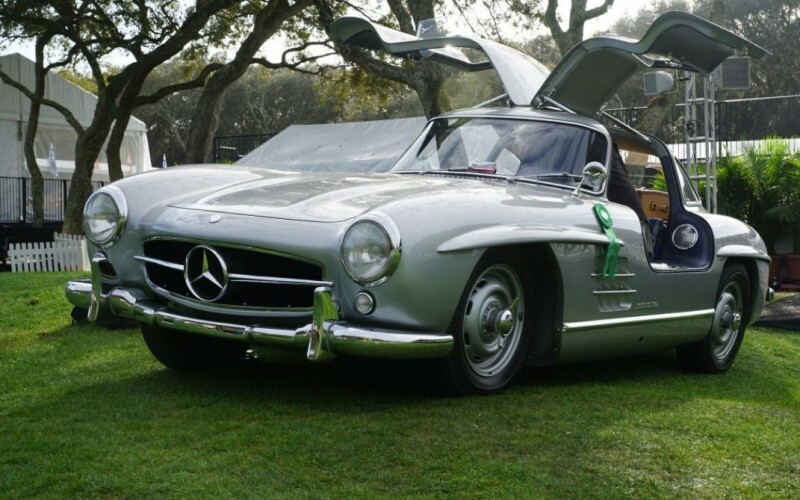 Follow this link to review our coverage of the 2015 Amelia Island Concours.